Max is a real gentle giant and a clown to boot. 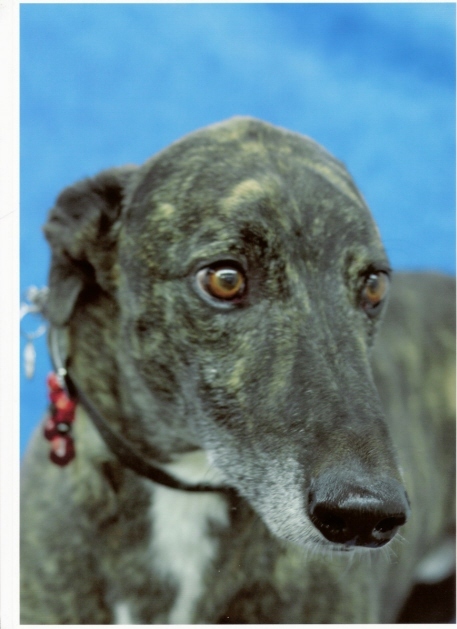 Although he is an ex coursing dog, he lives with two cats, as well as his canine siblings. Max's house is surrounded by fields and he likes nothing better than standing at the back fence just watching the world go by. He spends most weekends out fund raising with his little sidekick, Daisy the whippet, both of them fast asleep, but loving the attention they get all the same.